Carers of West Lothian is a voluntary organisation that provides information and support on a wide range of issues to unpaid carers. Our Mission is to make a positive difference to the lives of Carers. We do this in partnership with the local statutory agencies and other voluntary organisations. The key to our work is to provide a range of flexible services which will support carers with their caring role in the most positive, healthy and knowledgeable manner. Stirling Carers Centre provides information, advice and support to unpaid carers throughout the Stirling Council area. Voluntary Action Shetland can assist carers and those being cared for by arranging short carer breaks, including support and funding. You can discuss access and availability of other carer support groups. PKAVS Carers Services support over 1,000 unpaid carers in Perth & Kinross. We help people be individuals first, carers second. A carer is someone who looks after family, partners or friends who need help, because of illness, frailty or disability. The carer is unpaid, though some may be in receipt of a carers allowance. The WESTERN ISLES COMMUNITY CARE FORUM was established in 1992 to give community and voluntary organisations involved in care a voice in community care planning. Quarriers’ Carer Support Service provides advice and support to unpaid carers throughout Moray. Every caring situation is difference. You may be caring for a partner, parent, family member, friend or neighbour, and there is a wide range of reasons why they cannot care for themselves, including illness, age, disability, alcohol or substance abuse, and mental health issues. We will listen to your story and help you access the advice, information and support which best meets your needs. If you are looking after someone in Midlothian and want a wee break from your caring role we can help. Everyone’s idea of a break is different and we are here to help you find the best one for you. For information and advice from planning your break, finding funding and sharing top tips from others call us to see if we can help you have a wee break – from a few hours to a few weeks. Maybe they rely on you because of illness, frailty, a disability or addiction issue. It could be your mum, dad, child or a young person. Even a relative, friend or neighbour. If your answer is yes, then you are a Carer and we can help support you. The main focus of the services we provide at Inverclyde Carers Centre is to help support Carers. We do this by providing services designed specifically to help you in their caring role as many Carers don’t recognise that they too need support. The aim of the Carers’ Centre is to provide carers with practical help and emotional support. We offer the following core services to carers. Help for carers to have their voice heard – representing carers with individual issues and campaigning on a local and national level for carers’ rights. Fife Carers Centre are a small charity dedicated to supporting the unpaid carers of Fife. At Fife Carers Centre we believe that by supporting carers in a wide variety of ways we can help them to sustain their caring roles without harming their own well-being. The Carers Centre seeks to ensure that carers of all ages in Falkirk district and Clackmannanshire are recognised, valued, receive the information and support they need to allow them to care with confidence and in good health, and are empowered to have a life of their own outside caring. VOCAL (Voice of Carers Across Lothian) works in partnership with other local carer organisations. VOCAL support carers in all family or relationship settings, be they defined by kinship, partnership, friendship, affection or obligation. Our services include information, advice and emotional support, training, advocacy, counselling and groupwork. Here at Carers Link we work with carers throughout the East Dunbartonshire area. We know that each carer’s situation is unique and will talk things through with you – and listen to you – to ensure that we tailor support to what you need. The Carers Centre provides information and support to those who are caring for a family member, friend or neighbour who needs help because of long term illness, disability or age-related difficulties. The first outreach project opened outwith Aberdeen City was the South Aberdeenshire Carers Project based in Stonehaven. It covers an area from Braemar in the west to Portlethen in the east and St Cyrus in the south. It is a very rural area with towns such as Stonehaven, Ballater, Aboyne, Banchory and Laurencekirk. This was followed by the opening of a Young Carers Project in 2001. In the summer of 2000 the North East Aberdeenshire Carers Project began, renamed in June 2005 as North Aberdeenshire Carers Centres, now incorporating carers support in the west of north Aberdeenshire. The Aberdeenshire Carers Services are now operated as one service providing services for adults and young people throughout the whole of Aberdeenshire and with offices in Stonehaven, Aboyne, Oldmeldrum, Fraserburgh and Peterhead. The VSA Carers Service Aberdeen, located on Castle Street, offers advice, information and support on all aspects of caring directly to carers. NHS 24 is designed to help you get the right care, from the right people, at the right time. We are the independent scrutiny and improvement body for care services in Scotland. We make sure people receive high quality care and ensure that services promote and protect their rights. need of someone to talk to. The website contains information and advice on health and mental well-being. One Stop Shop website for information on all matters relating to health care. If something’s troubling you, then get in touch. A link to the SEHD guidance on the duties and responsibilities of NHS Boards and Trusts in regard to implementing the Race Relations (Amendment ) Act 2000 within NHS Boards and Trusts. Runnymede has been at the forefront of the fight against social injustice and racial discrimination since 1968. The Trust aims to stimulate debate and suggest forward-looking strategies in areas of public policy such as education, the criminal justice system, employment and citizenship. This link will take you to the Office of Public Service Information Site and the explanatory notes to the amended Race Relations Act. One Scotland is the Scottish Executive campaign designed to tackle racism in this country. It aims to raise awareness of racist attitudes and highlight its negative impact, to make Scotland no place for racism. Part of the London Advice Service Alliance which operates a website with a range of welfare law information translated into a large number of minority ethnic languages. There is a section on information specifically for carers. Providing support to Black and Minority Ethnic carers in the Edinburgh and Lothian area to access supports and services appropriate to their caring situation. Mecopp are expanding to other areas in Scotland. For further information contact the organisation. Fairness, Race Awareness and Equality Fife is a partnership between service providers and BME groups in Fife working together to overcome problems and lack of opportunities being experienced by people in BME communities. Frae Fife is working to increase self-confidence, knowledge and skills, thus making it easier for communities to exercise their rights as citizens and to access services which take into consideration their language, culture and tradition. Barnardo’s APNA project. 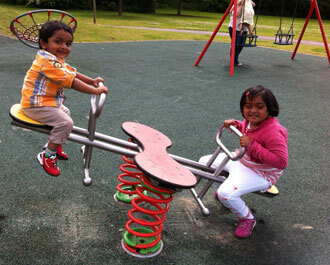 Support for Asian families with a disabled child in the southside of Glasgow. Barnardos Family Placement Service is a voluntary fostering agency based in Edinburgh and through their Rainbow Families project can find temporary or longer term placements for children with carers from BME communities. Rainbow Families can also offer training and advice to professional agencies involved in the assessment and care planning of BME children. The EHRC can provide legal advice and assistance to people who think they have been discriminated against. It should be noted that theEHRC does not rule on whether or not discrimination has occurred: this is for an employment tribunal or a court to decide. The EHRC also has powers under the Race Relations Act to investigate companies or organisations where there is evidence of possible discrimination, and require them to make changes to their policies and practices. It can also take legal action against companies or organisations in certain specific circumstances (for example, if they have published a discriminatory advertisement). This site provides a list of dates all holy days and religious festivals for the coming year across all the main faiths. There are also links from this site to information on the customs and beliefs of the different religions and faiths. The Action Group – for children and adults with support needs and learning disabilities – and their carers. Services are currently offered across Edinburgh, Lothians and Falkirk. This service also provides people from Black and Ethnic Minorities with advice and assistance to access social work services, education, health and housing. The Scottish Young Carers Services Alliance is hosted by The Princess Royal Trust for Carers in Scotland. It is made up of organisations which support young carers and it raises awareness of young carers and the kinds of issues they face. Carers Trust Scotland (formerly The Princess Royal Trust for Carers) has been operating in Scotland since 1991. We are the largest provider of comprehensive carers support services in Scotland, reaching around 40,000 adult carers and more than 3,500 young carers from all groups and communities, through a unique network of independent carers centres and young carers services (Network Partners) throughout Scotland. The Coalition is a network or alliance of over 80 autonomous local carer-led groups, centres and projects. Members of the Coalition meet quarterly to share information and debate issues. Carers Scotland is the Scottish national office of Carers UK. The Scottish Spina Bifida Association is the only specialist charity in Scotland to provide a lifetime commitment of dedicated support services, training and projects for everyone affected by the conditions. PAMIS was established in 1992 to provide support for people with profound and multiple learning disabilities (PMLD), their family and carers and interested professionals. For over 25 years Sense Scotland has been working with people who have communication support needs. We believe everyone should have a choice in how they live their life. Raise public awareness about what ASD is, and how it affects the lives of individuals and families in Scotland. “Penumbra is a leading Scottish voluntary organisation working in the field of mental health. We provide an extensive range of person-centred support services for adults and young people including residential respite care. The Parkinson’s Disease Society is dedicated to supporting all people with Parkinson’s, their families, friends and carers. One Parent Families Scotland works to ensure that all families, particularly those headed by a lone parent, have the support, information and confidence needed to play a full part in Scotland’s economic and social life. OPFS provides vital childcare services – allowing parents respite and time to work, learn, and develop their skills. The LTCAS exists to support people with long term conditions to enjoy, not endure, full and positive lives – lives free from discrimination and supported by high quality services. Their work includes: campaigning and influencing policy, supporting and improving practice, supporting voluntary and community organisations & tackling health inequalities. ENABLE Scotland campaigns for a better life for children and adults with learning disabilities and support them and their families to live, work and take part in their communities. Enable also run a range of flexible person-centred services. Counselling Directory provides a support network of counsellors, allowing those in need to find a counsellor in their area and appropriate for their needs. The directory contains information on many different types of distress, as well as articles, news, and events. “Capability Scotland is the leading Scottish disability organisation and has nearly 60 years experience of providing services to disabled people of all ages in Scotland. The organisation was launched in 1946 by a group of committed parents and professionals. The first service, Westerlea School for children with cerebral palsy, opened in December that year. specialist palliative support through respite care and emergency care for children with life limiting, life threatening and terminal conditions. regular short term breaks for children and their families. terminal care and bereavement counselling. friendship, information, advice and practical support for families, with help available in their own homes at times of special stress. Alzheimer Scotland helps people with dementia, their carers and families. Our members include carers, relatives, people with dementia, professionals, groups and organisations. From this site you can access information about local support services which may be able to offer short break opportunities. Online directory of accessible accommodation, leisure opportunities and services for disabled people – mainly England. Visit Scotland’s directory of accessible accommodation in Scotland. 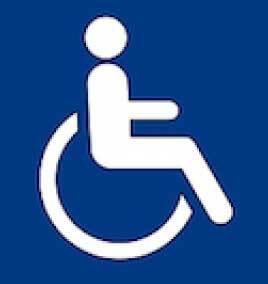 Also links to advice for traveller’s with mobility impairments. A directory of accessible accommodation and holidays for the disabled, elderly and infirm. CCPS is the Coalition of Care and Support Providers in Scotland. Our mission is to identify, represent, promote and safeguard the interests of third sector and not-for-profit social care and support providers in Scotland, so that they can maximise the impact they have on meeting social need. children and young people through better support and provision. The carers policy section of the Scottish Government’s website. Here you’ll find information on current government policy relating to unpaid carers. The report sets out the recommendations of a research project on the future of unpaid carers in Scotland, commissioned by Care 21, a social care innovation unit within the Social Work Services Policy Division of the Scottish Executive. This link will take you to the key findings from the report, including a summary of the specific issues affecting black and minority ethnic carers.